Born: 25 August 1907, Ladybrand, Freee State, South Africa. Died: 15 May 1968, Windhoek, Namibia. J. Georg van der Wath, veterinarian, farmer and businessman, was the son of Cornelius J. van der Wath and his wife Anna. During 1927-1929 he resided in Louis Trichardt (now Makhado). He qualified (BVSc) at the Veterinary Faculty of the University of Pretoria at Onderstepoort in 1934 and took up an appointment at the Allerton Veterinary Laboratory near Pietermaritzburg. In 1936 he transferred to the Physiology Department at the Onderstepoort Veterinary Research Laboratory, where he studied the ruminant digestive system in collaboration with J.I. Quin*. He also lectured in physiology in the Veterinary Faculty. In 1942 he obtained the DVSc degree with a thesis entitled Studies on the alimentary tract of the merino sheep, with special reference to the role of the micro-fauna and flora. Shortly afterwards he resigned and went farming, but his interest and expertise relating to the wool industry subsequently led to his appointment as a member of the South African Wool Board (1948-1966), and its chairman in 1960; chairman of the International Wool Secretariat; chairman of the South Afican Wool Textile Research Institute (1962-1966); member of the Wool Commission (1960-1966), and its chairman in 1965. In recognition of his leading role in the wool industry an honorary doctorate was conferred on him by the University of Port Elizabeth. 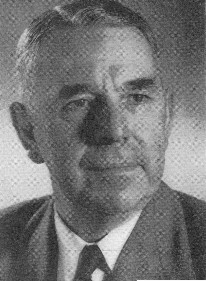 In addition to his own scientific contributions van der Wath was an accomplished research administrator, a successful farmer, director of several financial organisations, and a member of the council of the University of Pretoria (1959-1968). At his untimely death in an aircraft disaster at Windhoek airport he resided in Ermelo, Transvaal, but owned the Tati Ranch in Botswana, on which remains of the earliest gold mines in southern Africa had been found. He was survived by his wife, Margaretha E. van der Wath, and seven children. Grosskopf, J.F.W., Skinner, J.D. & Daff?e, S.C. Die Universiteit van Pretoria se bydrae tot die dierefisiologiese vakliteratuur (1930-1980). Universiteit van Pretoria, Publikasies, Nuwe Reeks, Nr. 150, 1980. In Memoriam: Jan Georg van der Wath. Journal of the South African Veterinary Medical Association, 1968, Vol. 39, p. 103. National Archives Repository (TAB), Source MHG, Vol. 0, Ref. 15722/68: death notice, Jan Georg van der Wath. National Automated Archival Information Retrieval System (NAAIRS). . Documents relating to Van der Wath, Jan Georg / Van der Wath, J.G.